Four years ago my son was born with some pretty serious congenital birth defects. Since then he’s had four surgeries to try to correct some of them, and goes to regular doctor’s appointments to monitor others. Every day we deal with the effects of these health complications, from diet to therapy sessions to what types of activities he can and can’t do. Just about every day for the past four years I’ve prayed that God would heal my son. I don’t want him to have to go through another surgery; I don’t want to have to worry about him getting injured; I don’t want him to be singled out or made fun of because his disability. I want him to be able to do all the things other kids his age can do. But so far, he hasn’t been healed. It could be easy for me to feel a little irked while reading today’s Gospel passage. “Ask and you will receive.” (Luke 11:9) I’ve been asking, and asking, and asking, and have yet to see the healing I have been asking for. But the very end of this passage reminds of something I tend to forget. There is nothing in this world that we need more than Jesus. There is nothing worth more than asking for more of Him. And when you ask Him for more, He will never say no. I want my son to be healed. But more than that, I want him to know Jesus. 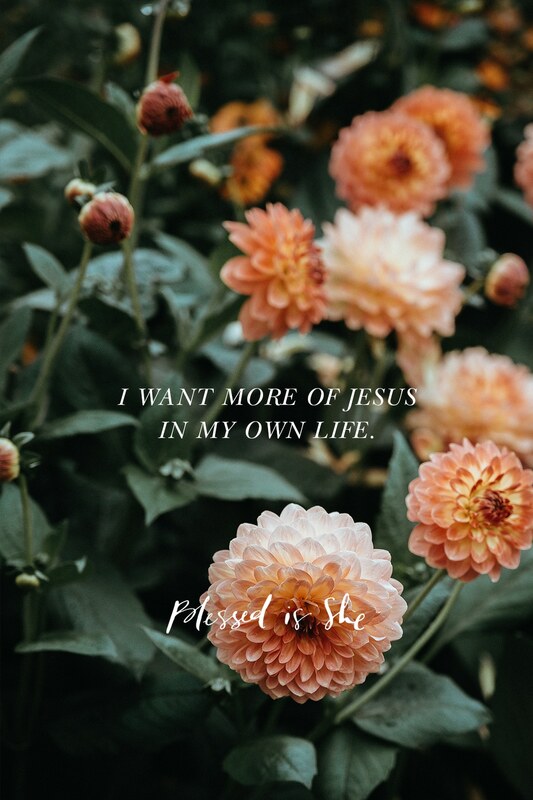 And I want more of Jesus in my own life. This doesn’t mean we shouldn’t pray for all the other things. God wants us to bring our concerns to Him. Sometimes He answers our prayers, and when He does, it boosts our faith and reminds us of His love for us. But even when He doesn’t, His love is still there. I have found that sometimes it takes an unanswered prayer to make me realize He is all I really need. Our God is a Father who knows how to give good gifts to His children. In fact, He’s already given the greatest gift of all time—salvation through His Son. We need only to ask for it. Our God is a Father who knows how to give good gifts to His children. Pray an Our Father with me today. Let’s ask together. Next Post What Are You Thinking About?